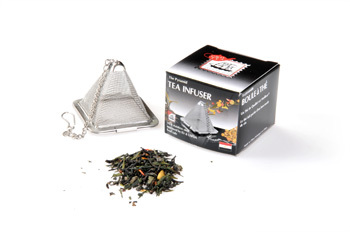 The Mesh infuser is ideal for use in teapots or a pitcher of sun tea. It may also be used to steep the perfect cup of tea. Please do not overfill the infuser, as the loose leaves need adequate room to expand. Conveniently sized to carry with you wherever your travels take you.